Q: Can I have the pop-out items in the dhtml menu bar go left instead of right. Going right they run off the page. Q: The /js subdirectory of the Apycom Tree Menu trial package has no data file, i.e. the data file is missing. A: This file can be renamed, for example, into tree-data.js. Use our examples to see how to install the menu. 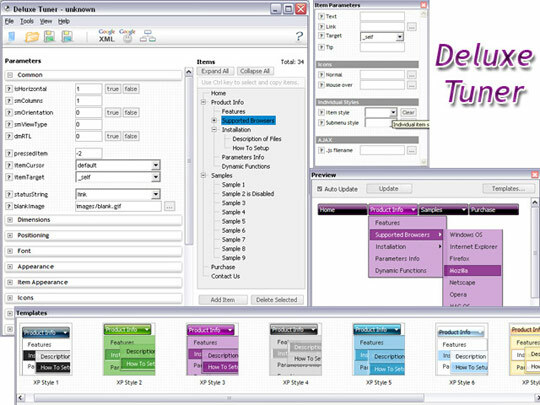 Use DHTML Tuner application from the same .zip package to create andconfigure your menus. Q: I can not figure out how to build tab drop down menus? in the table tree view when the new page loads?